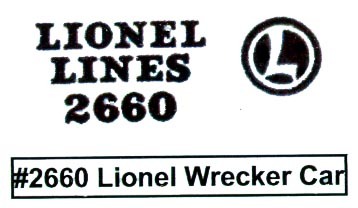 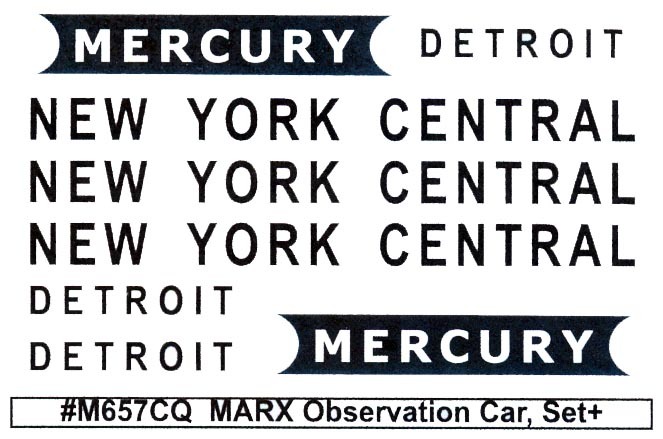 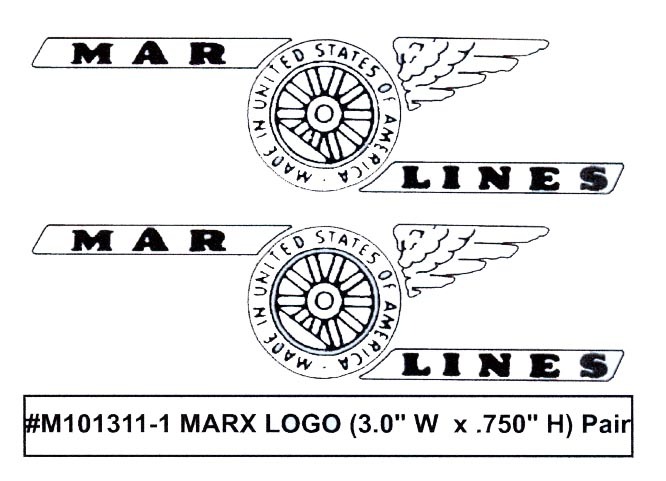 AMERICAN FLYER, LIONEL, MARX, Misc. 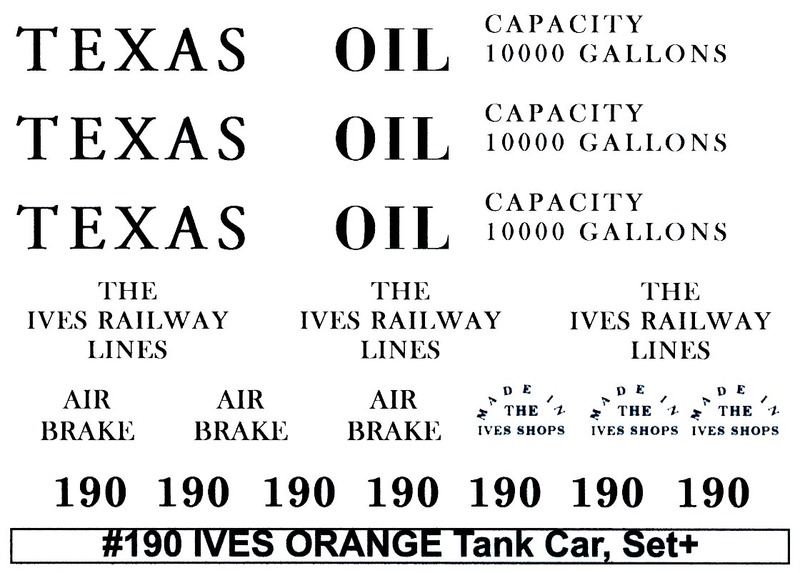 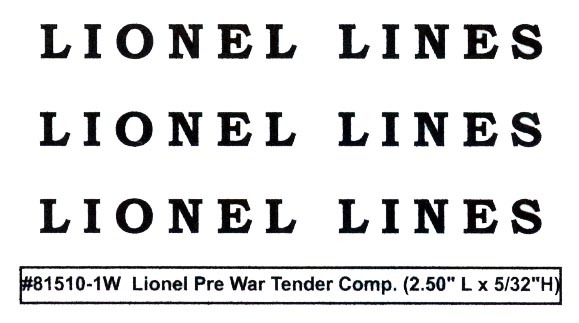 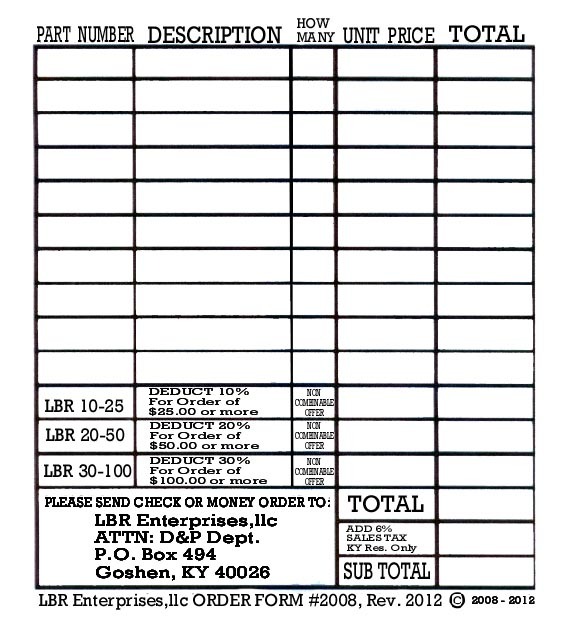 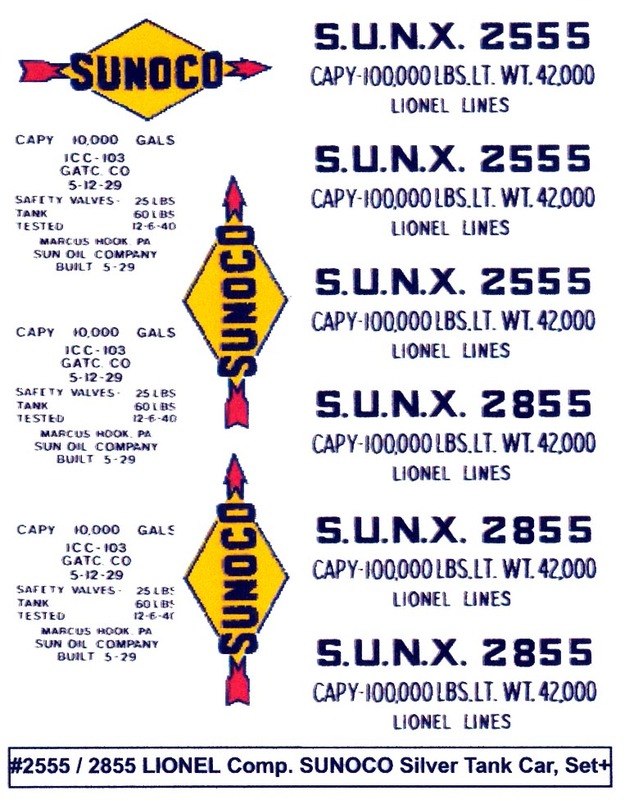 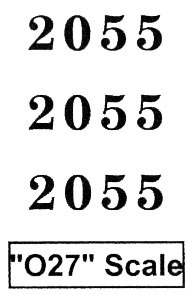 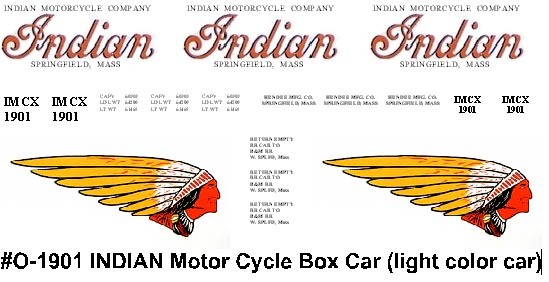 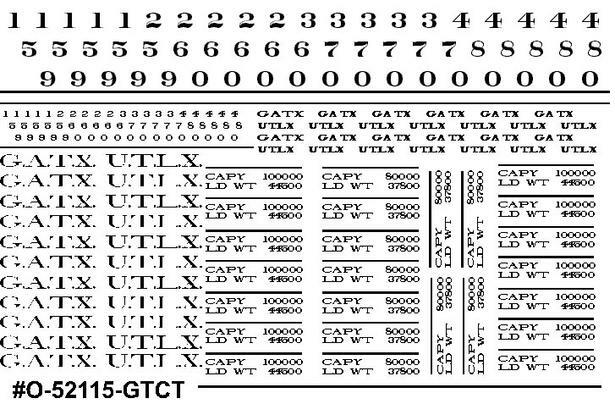 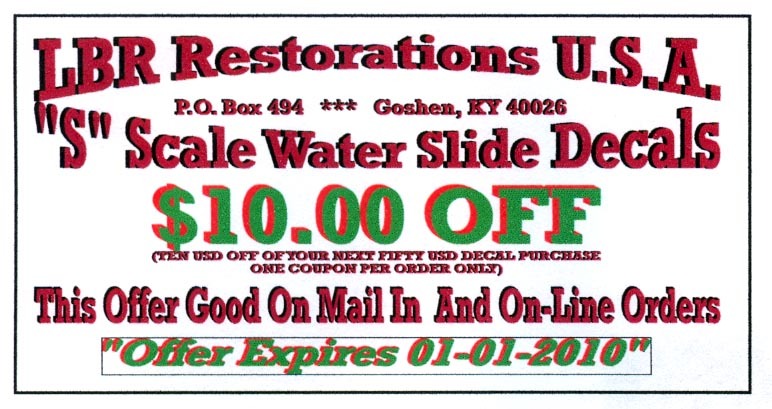 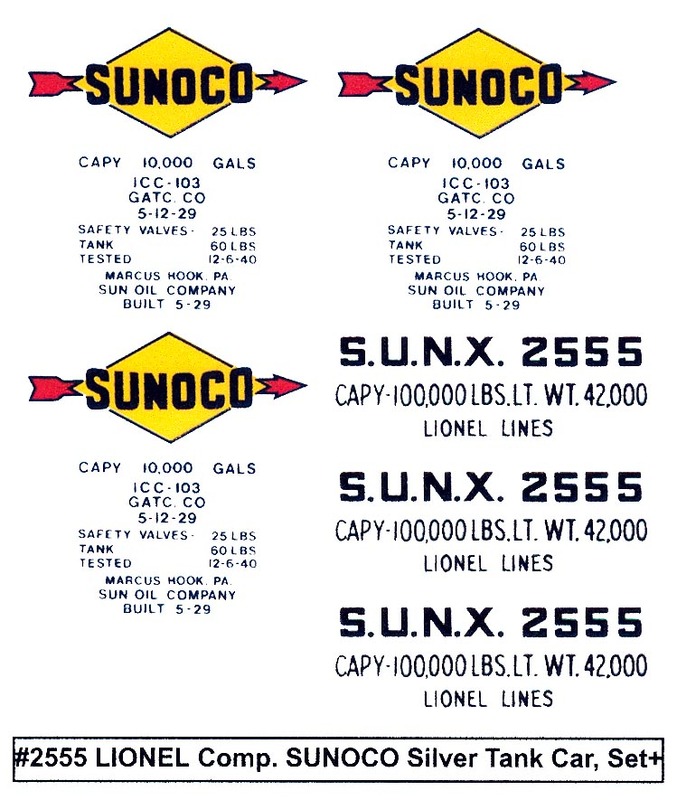 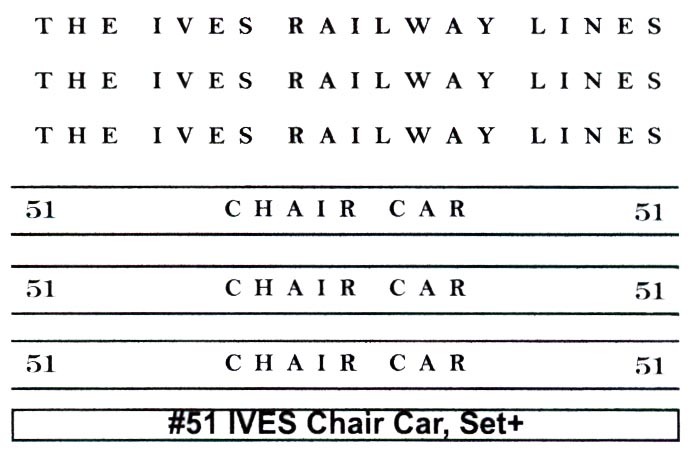 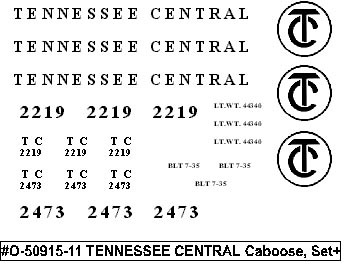 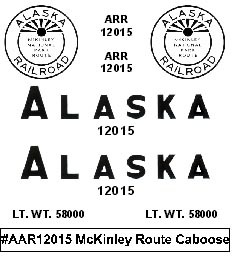 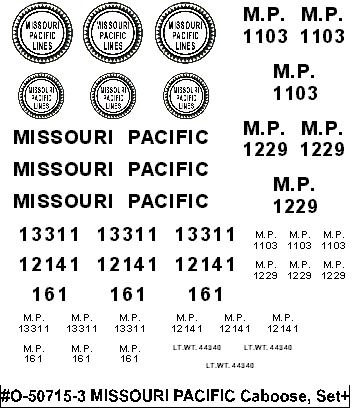 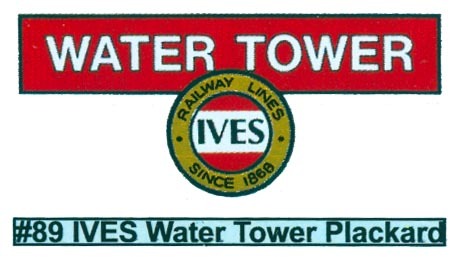 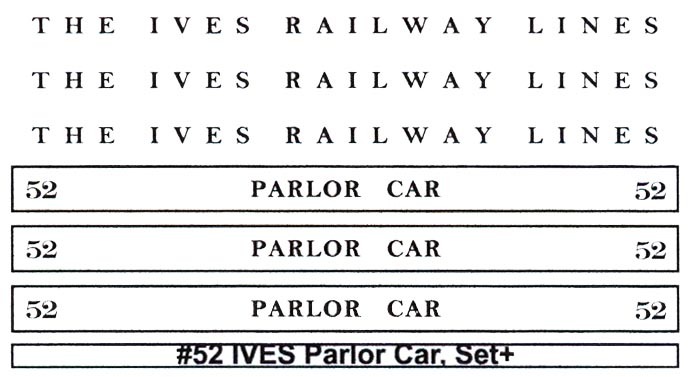 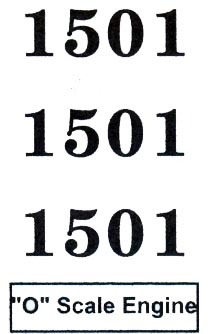 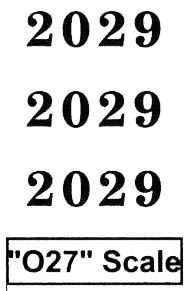 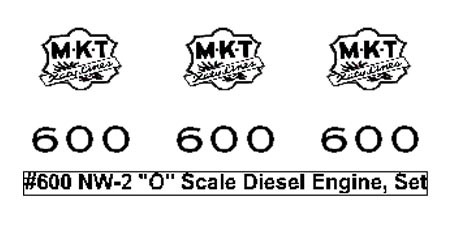 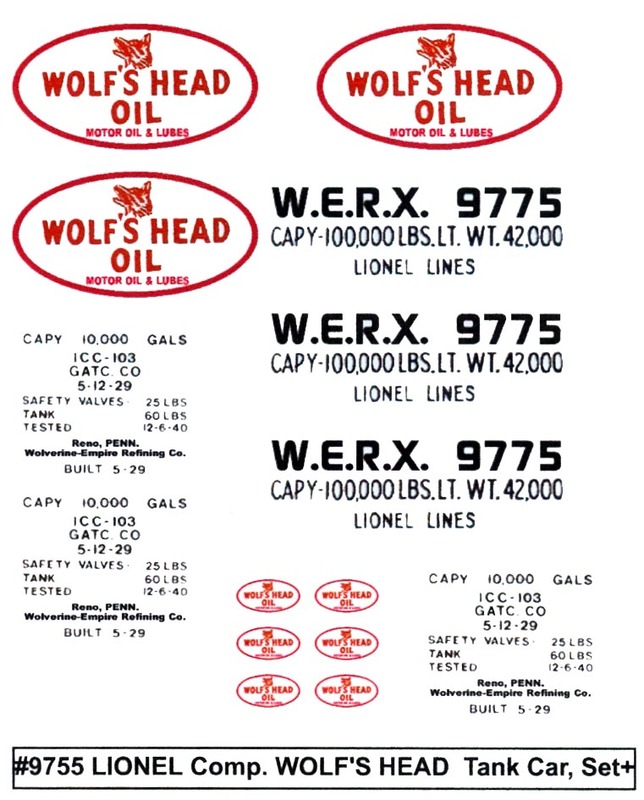 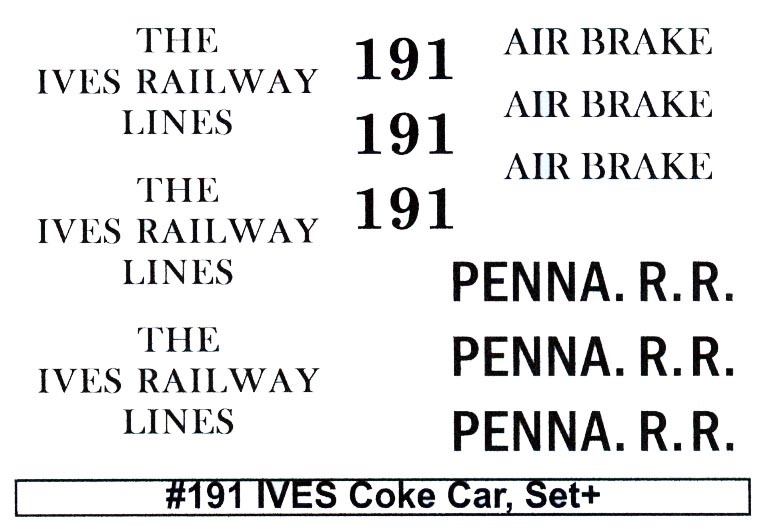 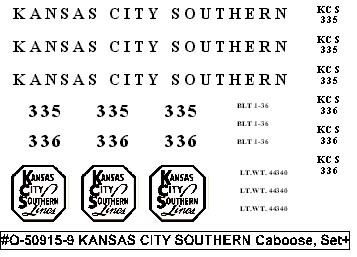 #032715-50-A ROCK ISLAND 50' Box Car w/Italic Lettering (WHITE Text), Set - $10.50 ea. 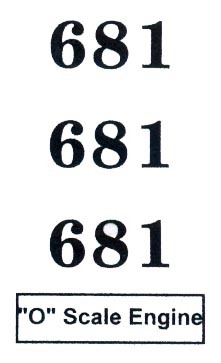 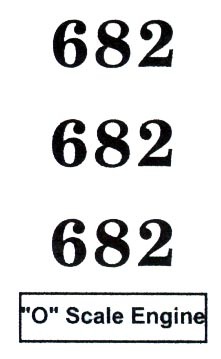 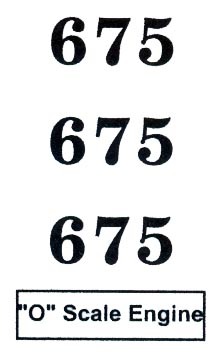 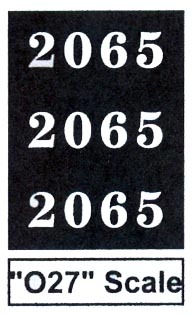 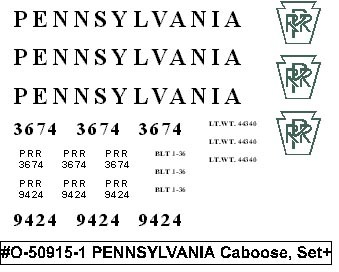 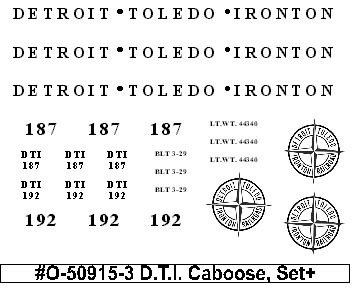 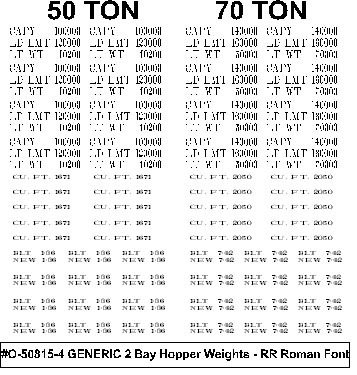 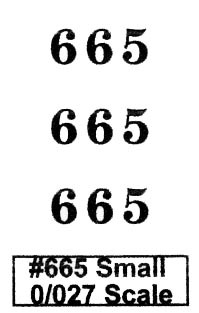 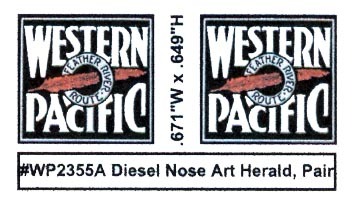 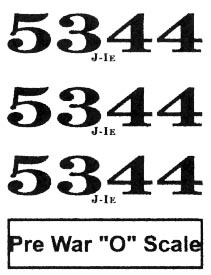 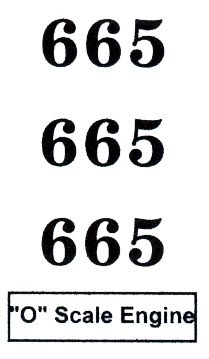 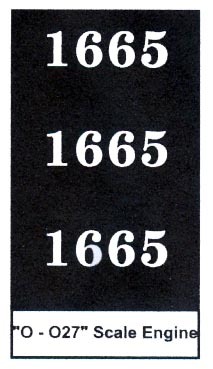 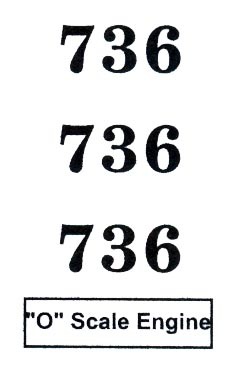 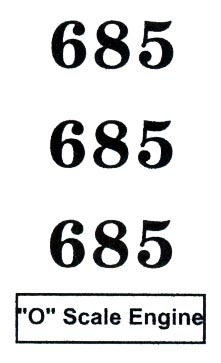 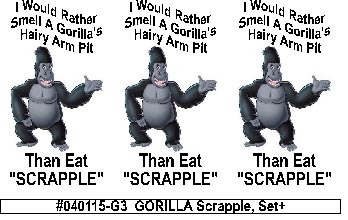 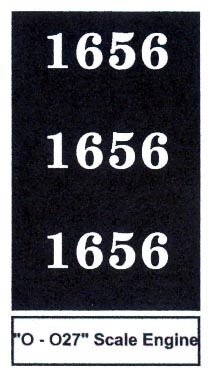 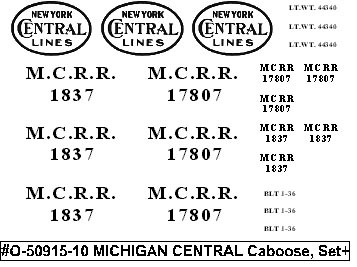 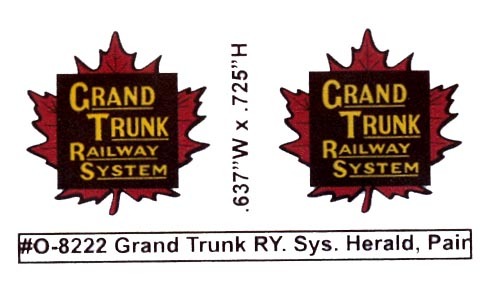 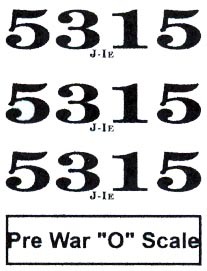 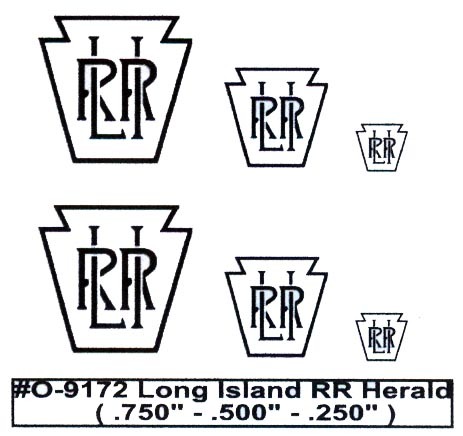 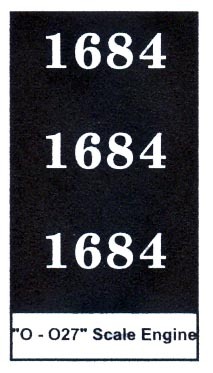 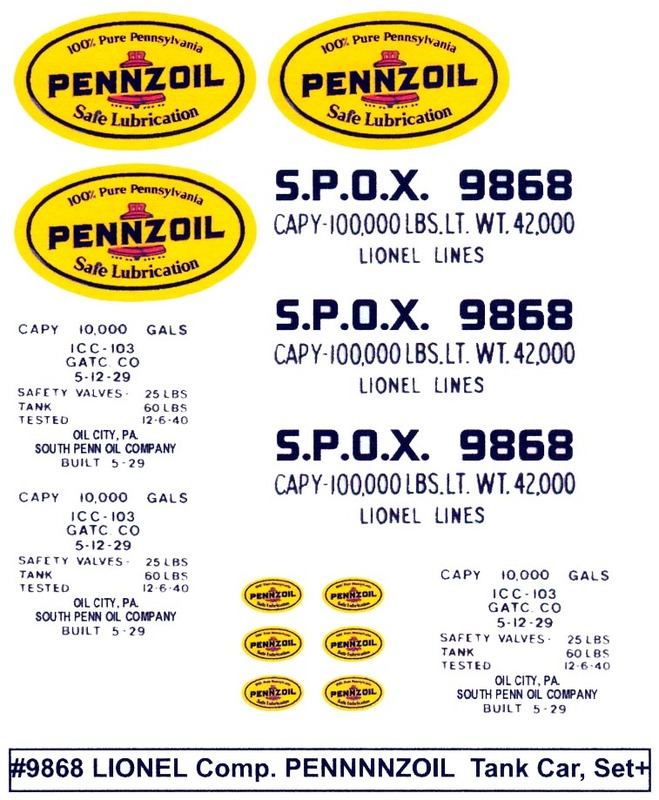 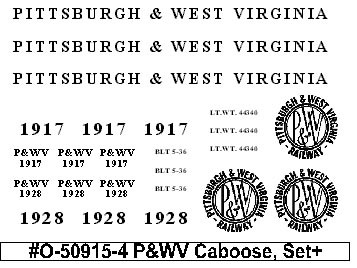 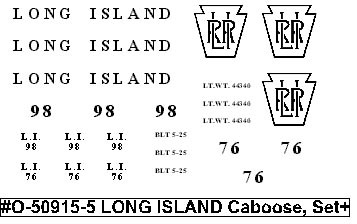 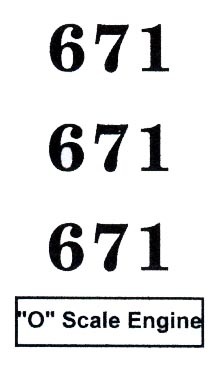 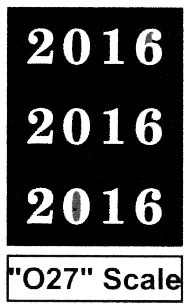 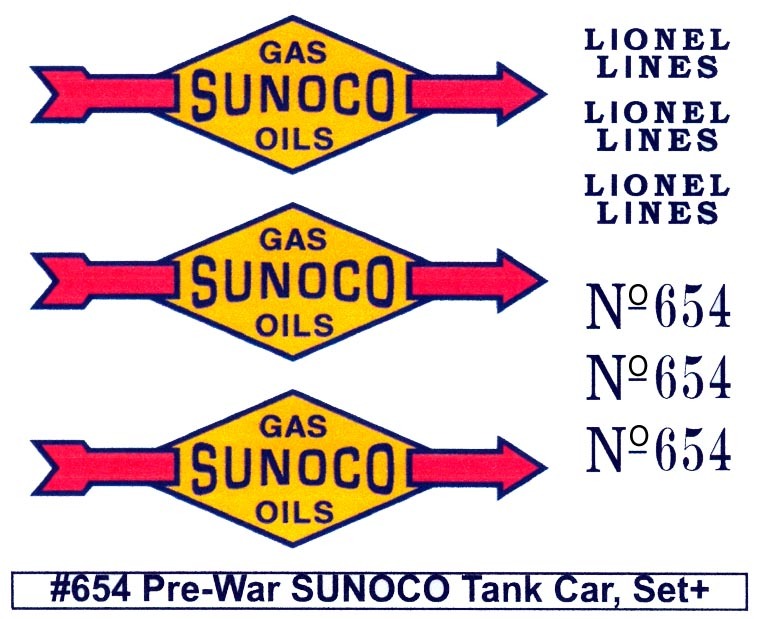 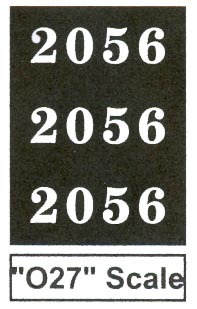 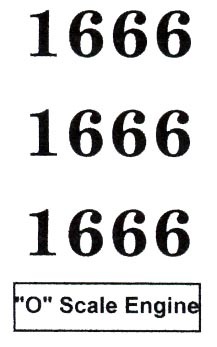 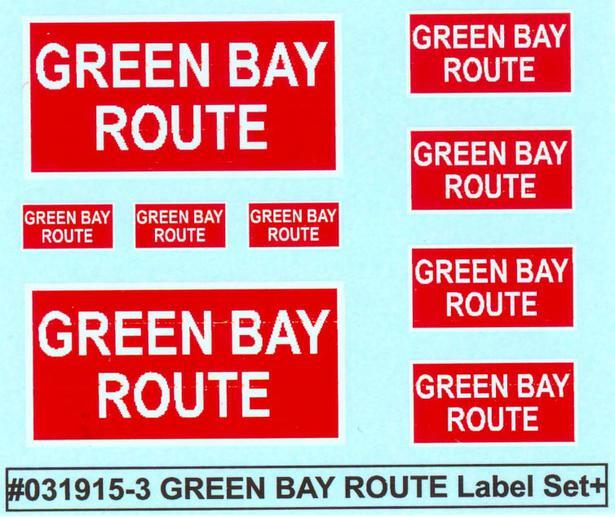 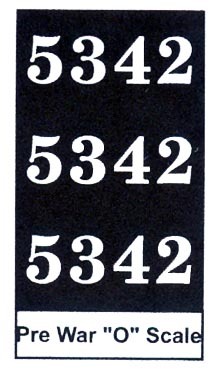 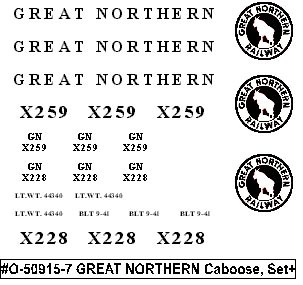 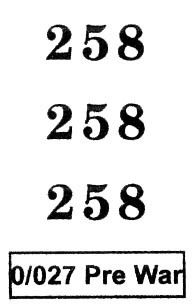 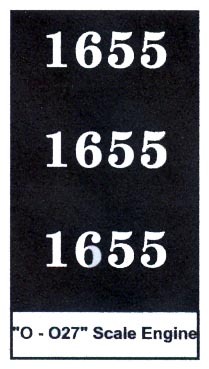 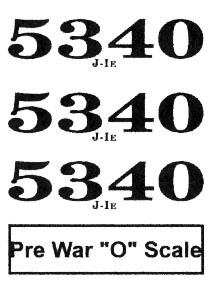 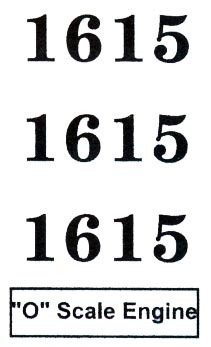 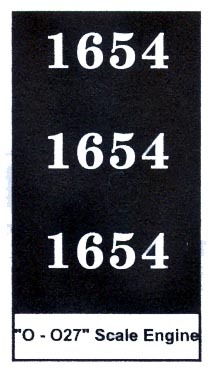 #032715-50-B ROCK ISLAND 50' Box Car w/Italic Lettering (BLACK Text), Set - $8.50 ea. 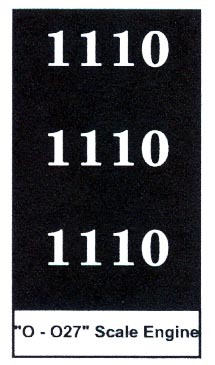 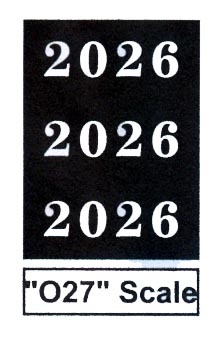 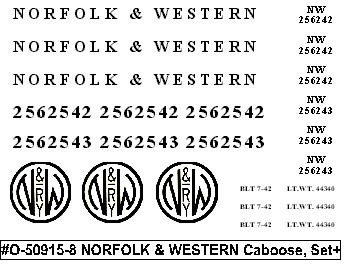 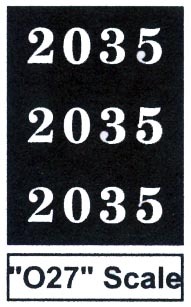 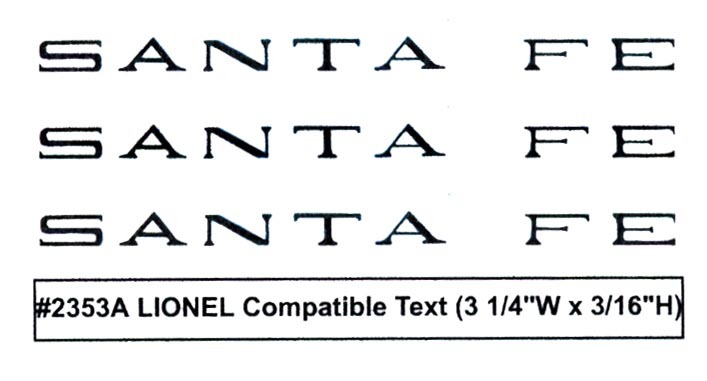 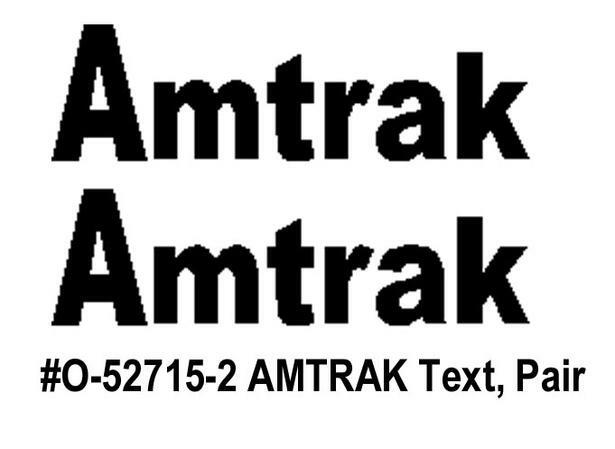 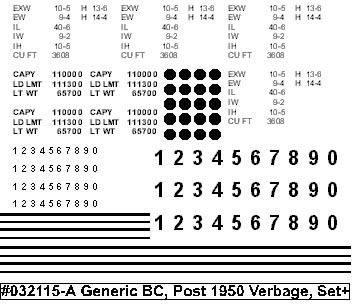 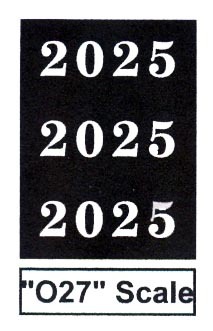 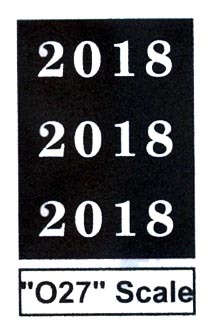 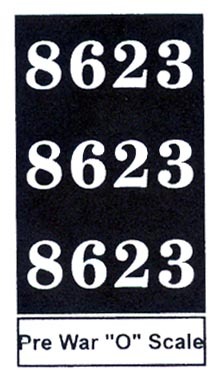 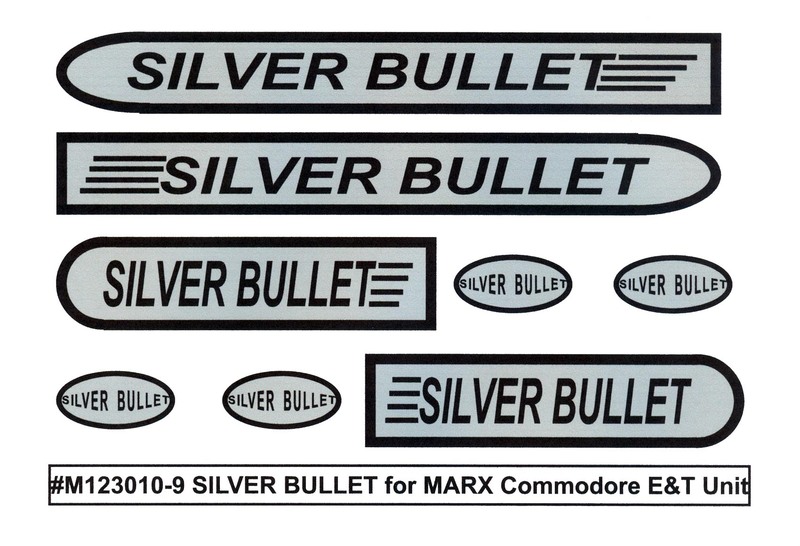 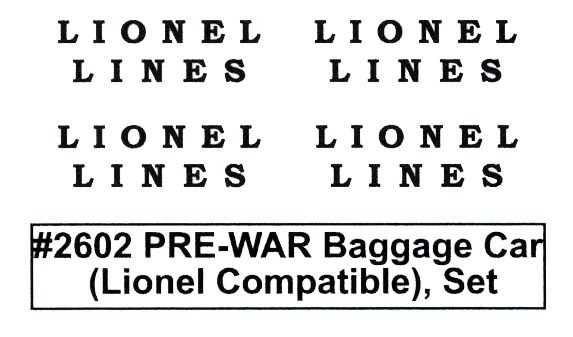 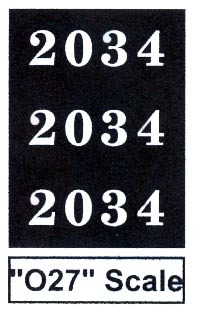 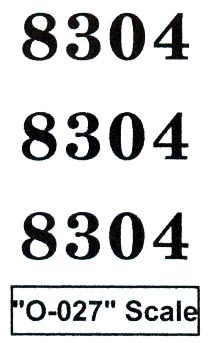 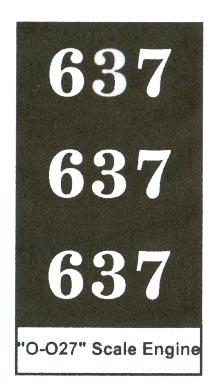 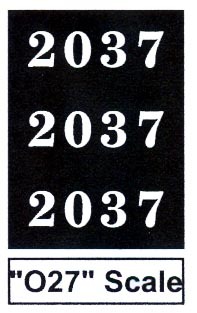 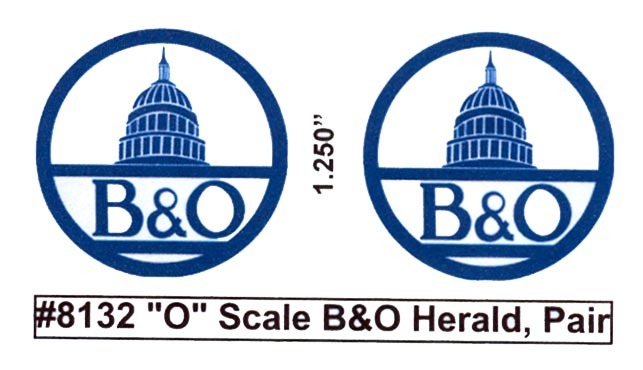 #O-42015-3B SANTA FE passenger car text (BLACK: 5.34mm x 69.53mm), Set+ - $3.00 ea. 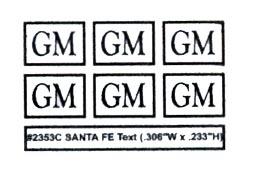 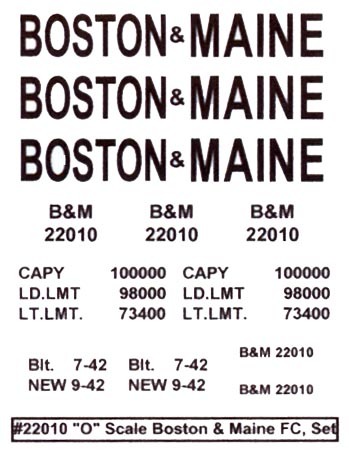 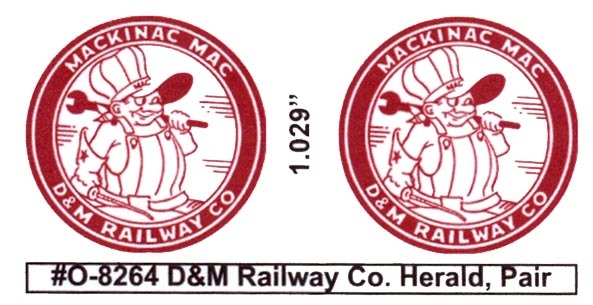 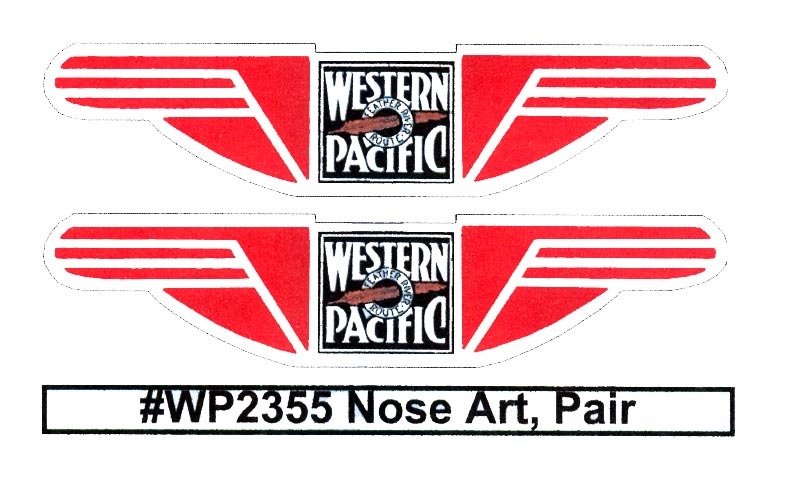 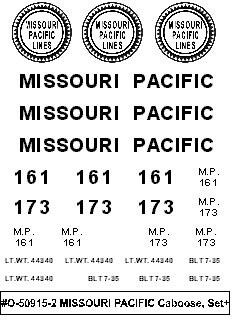 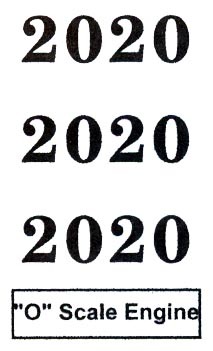 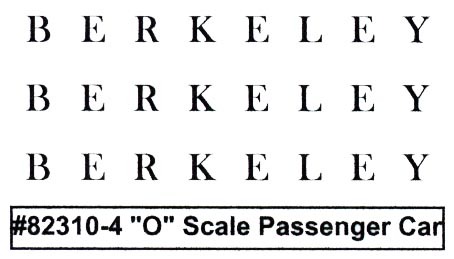 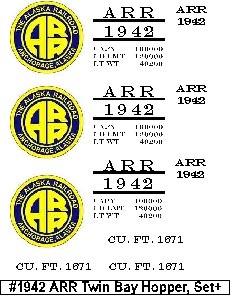 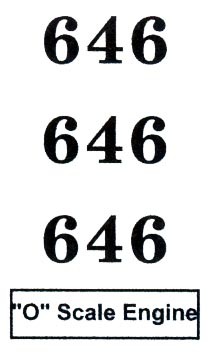 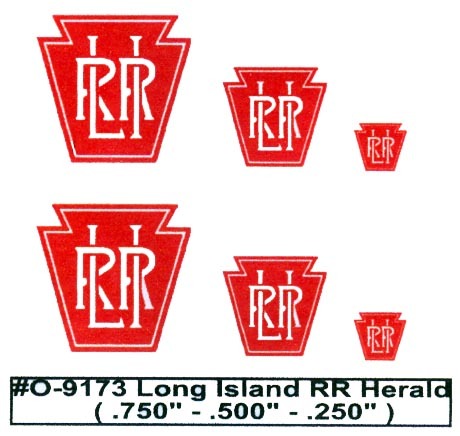 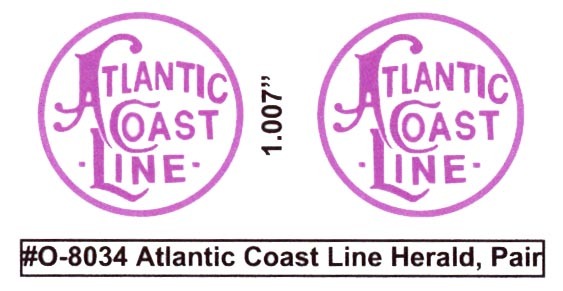 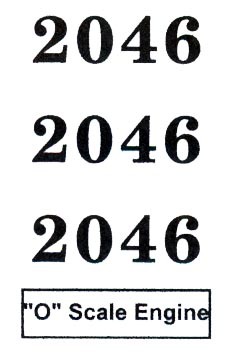 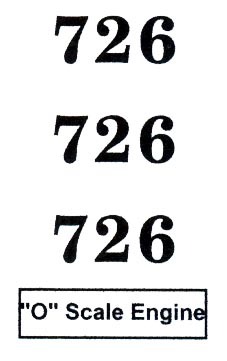 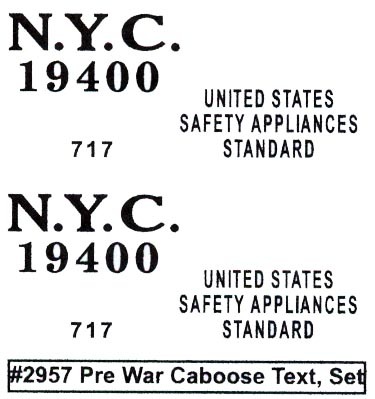 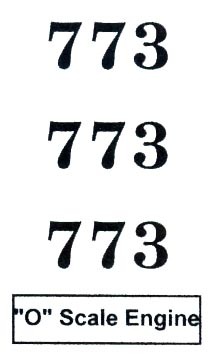 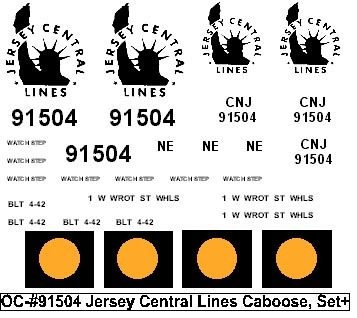 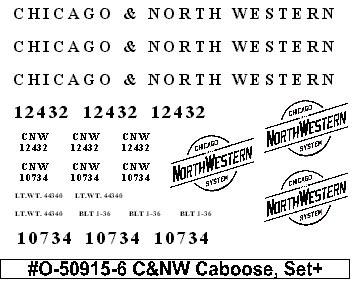 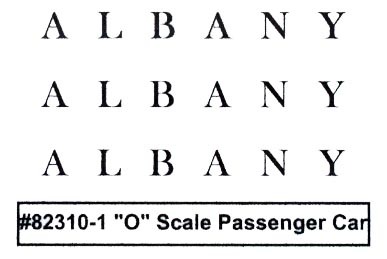 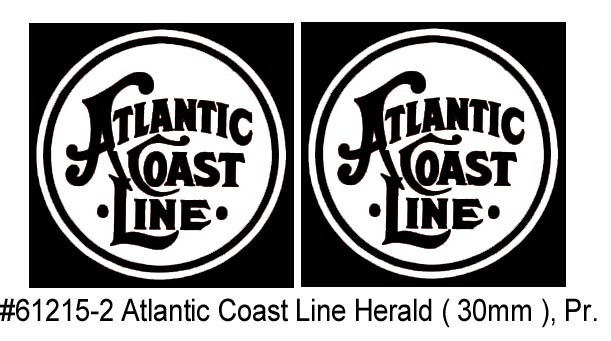 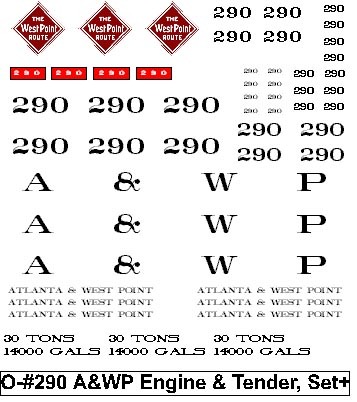 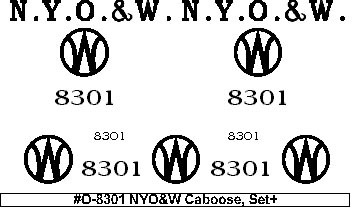 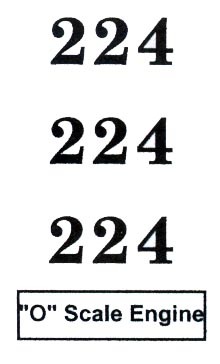 #O-42015-3W SANTA FE passenger car text (WHITE: 5.34mm x 69.53mm), Set+ - $5.00 ea.